The Cebek XT-1 module is a crystal-controlled time-base generator that provides high precision, stable outputs of 1, 2, 4, or 8 Hz (pulses per second). 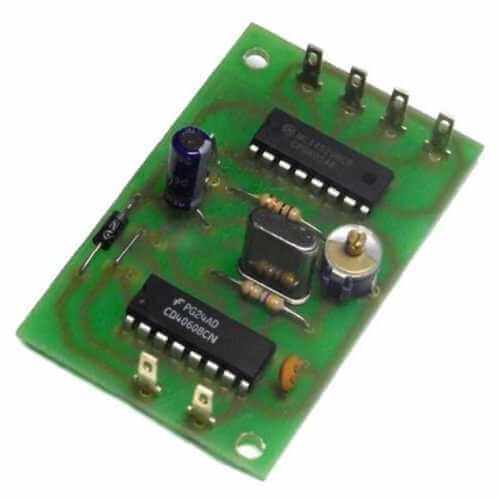 The oscillator circuit consists of a 4060 IC driven by a quartz crystal. The signal generated by the oscillator is then divided by a IC 4520. The circuit has a trimmer for further adjustments of frequency range to 10 Hz.